Nothing is worse than tossing and turning all night, right? Oh wait, there is something worse than that — tossing and turning all night, every night. This sounds like a nightmare and, unfortunately, more than one-third of Americans can relate, as they are not getting enough sleep on a regular basis. If this sounds like you, no need to get frustrated, there are many natural ways to combat sleep deprivation. The more research is conducted, the more we learn about the adverse effects of pharmaceuticals, including potentially harmful sleep aids. These medications generally mask symptoms, leading to adverse effects that, in some cases, can be fairly severe. Instead of relying on medications, test out these non-invasive methods. Why is it that you can’t sleep? Are you up worrying about a specific aspect within your day-to-day life? Do you live with chronic pain? Whatever the reason, in order to address symptoms of insomnia, you may need to first focus on other aspects of your health or overall life. In many cases, insomnia is due to underlying causes that are actually treatable. If you struggle with chronic anxiety, for instance, this is an important place to start. Learn healthy coping mechanisms, improving not only your ability to sleep but also your quality of life. List a couple of possible causes and then address them one by one. Although they’re making a big comeback throughout the general population, essential oils are far from new. Used throughout history to target a wide range of ailments, they can be used to induce relaxation and improve sleep quality. 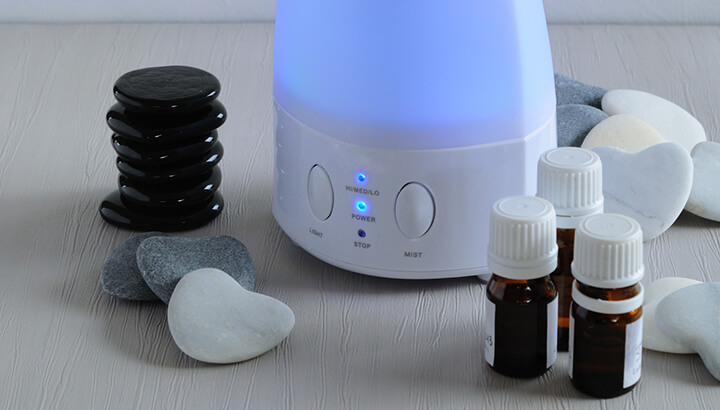 Invest in a diffuser to benefit from aromatherapy — some of the best options include lavender, valerian, cedarwood and vetiver. Technology can be great and in many ways, as it has helped us achieve some incredible things. With that being said, exposure to too much technology can result in the opposite effect. When using tablets, laptops or even mobile phones before bed, you can actually influence melatonin levels, shortening your REM cycle — the fifth and final stage of sleep. Melatonin is the hormone that makes you feel sleepy. As you’d imagine, natural levels of this sleep-inducing hormone are highest at night. Meaning, when you’re staring at your phone in a dark room, you’re suppressing the secretion of melatonin, possibly resulting in delayed sleep and reduced sleep quality. Needing to go to the bathroom one or even two times may not be out of the question, especially if you’ve consumed alcohol or caffeine before bed. With that being said, frequently getting up to urinate could be a sign of something more serious. From a possible infection to symptoms of diabetes, it’s important to recognize any abnormal urinary patterns or changes. As mentioned above, it’s important to address any possible underlying symptoms. According to the Anxiety and Depression Association of America, of the 70 percent of Americans who experience daily stress or anxiety, one-third experience excessive stress levels or panic attacks on a daily basis. Of those, seven out of 10 adults say they have trouble sleeping. You need to actively work towards a more relaxing, calming life. Begin with your current lifestyle — eat better, exercise more and practice relaxation techniques. Also, establish a relaxing, consistent bedtime routine. Get into the habit of having a bath in the evening, before retiring to your non-cluttered, cool, dark bedroom. Calming, soothing music can help a lot of people achieve a better night’s rest — especially if they live in a busy, noisy city. In fact, there are music compilations that have been specifically designed to help you sleep. Since college, I have been listening to soothing delta waves at night and would highly recommend it for anyone struggling to sleep. Sleep music that contains delta binaural beats helps to stimulate delta frequencies in the brain. As you benefit from a higher intensity of delta brain waves, you will also be able to focus more on the music and less on your anxious thought. Interestingly, delta waves not only promote deep sleep but also advance healing. When struggling to sleep, practice 15 to 20 minutes of yoga-like poses to help your muscles relax before sleep. In many cases, muscle tension is ignored for far too long. The goal here is to loosen your muscles, not increase your heart rate, so no need to get overly active. You can also incorporate yoga into your daily routine, helping you achieve a wide range of benefits. For those who practice yoga on a day-to-day basis, positive effects are generally experienced long-term, including an enhanced ability to calm the body and mind before bed. Not only should you begin practicing yoga, but you need to become more active in general. A number of studies have linked regular aerobic exercise to improved sleep quality, energy levels and overall mood. If your schedule allows for it, exercise in the morning, in comparison to the afternoon. Studies have shown that early risers who exercise are able to achieve deeper sleep. 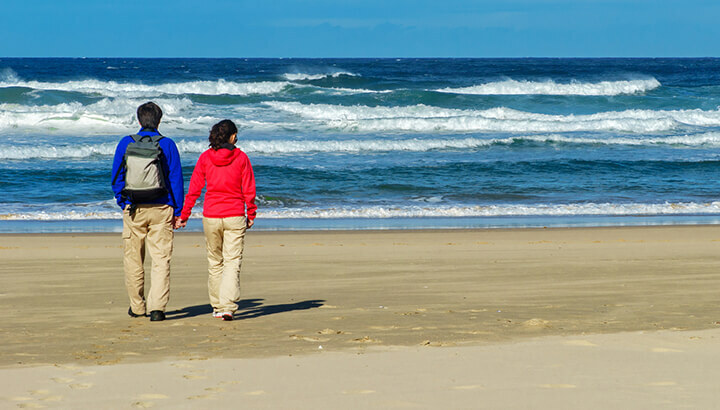 Although researchers still aren’t sure why this relationship exists, it’s believed that these individuals target high stress levels — which tend to peak in the morning — resulting in better sleep quality later on. I know it’s nice to sleep in here and there, but there is no point in wasting your weekend, right? Not only will you pack more into your Saturdays and Sundays if you rise early, but you will also maintain a more consistent sleep-wake cycle. When you sleep late during the weekend, you make it harder to get back on-track during the week — you may also threaten your health. If you get up each day at 7 a.m. during the week, then sleep in until noon on the weekend, you will upset the balance between your circadian clock and sleep drive. Within one study, after observing 400 participants, researchers found that those who woke up later on weekends than weekdays had lower HDL (“good”) cholesterol levels, high insulin resistance and a higher body mass index. Ditch the alcohol before bed, as it can actually disrupt your sleep quality. Studies have shown that although alcohol does help people fall asleep more rapidly, it reduces REM sleep. The more you drink, the more pronounced these effects are, which is often why you feel extra foggy the morning after one too many. Instead, enjoy a bedtime drink that will promote sleep. You can find all kinds of delicious herbal teas which promote sleep, including chamomile, lavender, lemon balm, valerian and St. John’s wort. If you’re not a tea fan, tart cherry juice has also been shown to improve sleep duration. If you’re a smoker, cigarettes may be reducing your ability to sleep. Nicotine is a stimulant, leading to side effects such as withdrawal and insomnia. Researchers have also found that smokers tend to spend less time in deep sleep in comparison to non-smokers. Morning withdrawal symptoms are also believed to interfere with sleep quality. A balanced lifestyle means that you eat well, exercise, manage stress levels, remain social and, of course, get enough sleep. Nutrition is a means to give your body the tools it needs to create hormones, remove toxins and heal. Consume a colorful diet rich in antioxidants, healthy fats and protein, in order to produce the necessary hormones that influence sleep. Many Americans are deficient in vitamin D. It makes sense that a lack of the “sun” vitamin, would affect our ability to sleep, as it is most circadian of all actions. When you get enough sun each day, around 30 minutes or so, you will also influence serotonin levels, which in turn, improve melatonin levels at night. You don’t have to accept the fact that you toss and turn — there is a reason behind the madness. It’s time to up your health game and catch those zzz’s. As you actively address possible underlying causes, begin to incorporate the suggestions above. What you’ll find is that you not only sleep better, but you’ll feel better during the day as well. Hey Buddy!, I found this information for you: "13 Easy And Unexpected Sleep Fixes". Here is the website link: https://www.thealternativedaily.com/easy-fixes-to-sleep-better/. Thank you.